Keep your data secure with updated technology. These days, data centers are using integrated security solutions to protect their customer’s assets. Involta, LLC, is an award-winning national provider of IT intelligence. The company offers a lineup of scalable, reliable, and best-in-class services that are designed to meet the needs of business of today. Serving a multitude of industries from healthcare to technology to manufacturing, Involta is really making waves within the security industry. And when it comes to data security, keeping classified information protected is immense for specific business sectors. For the most part, Involta facilities are built in secure, climate-controlled structures. In fact, the centers have absolutely no exterior signage. As a result, all staff is trained to follow stringent security procedures to safeguard clients’ protected information. 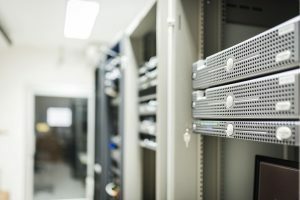 Because Involta houses a company’s most critical equipment and subsequently disseminates highly sensitive data, the facilities require a very layered approach to data security. With open platform access control systems like Open Options’ DNA Fusion, companies are able to accurately secure critical documents without worry. The scalability of this software is what makes it optimal. A system that can easily integrate with other technologies is something that large business with highly sensitive data requires. Otherwise, all their confidential documents can’t be accessed from virtually anywhere. With video management and intelligent locks, an open platform access control system seems like a no-brainer. DNA Fusion really is a fantastic technological advance that keeps sensitive documents secure and safely stored. With impressively user-friendly features, DNA Fusion is something that all businesses should really consider. To manage security remotely, Involta has started using DNA Fusion’s web application. This feature allows operators to take advantage of specific features like managing, addressing alarms and events, and controlling doors from virtually any supported web browser. This innovation is likely to lead to more and more companies implementing this type of security software in their workplace at a rapid pace. When it comes to access control needs, this new technology is indeed a step in the right direction. This entry was posted on Wednesday, December 6th, 2017 at 10:54 am. Both comments and pings are currently closed.